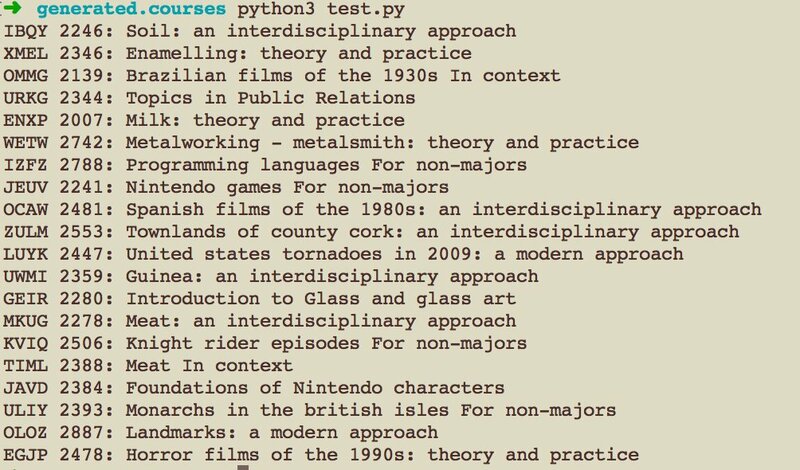 Included here is a link to five sample syllabi that have been generated. 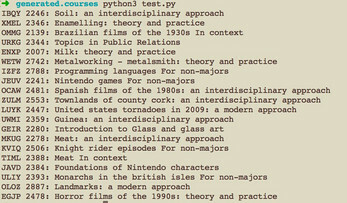 Uses Wikipedia's "Lists of Lists of Lists" page as a corpus for course topics, google scholar for readings, youtube for lectures, and conceptnet to broaden the set of keywords to search on based on course topic (this part is pretty broken). With all that said, you can click here to go learn something.